Balance your body's fluids, waste and more with Natural Sources' Raw Kidney. Your kidneys perform a number of critical tasks within the body and encourage healthy blood pH, fluid balance and waste removal. 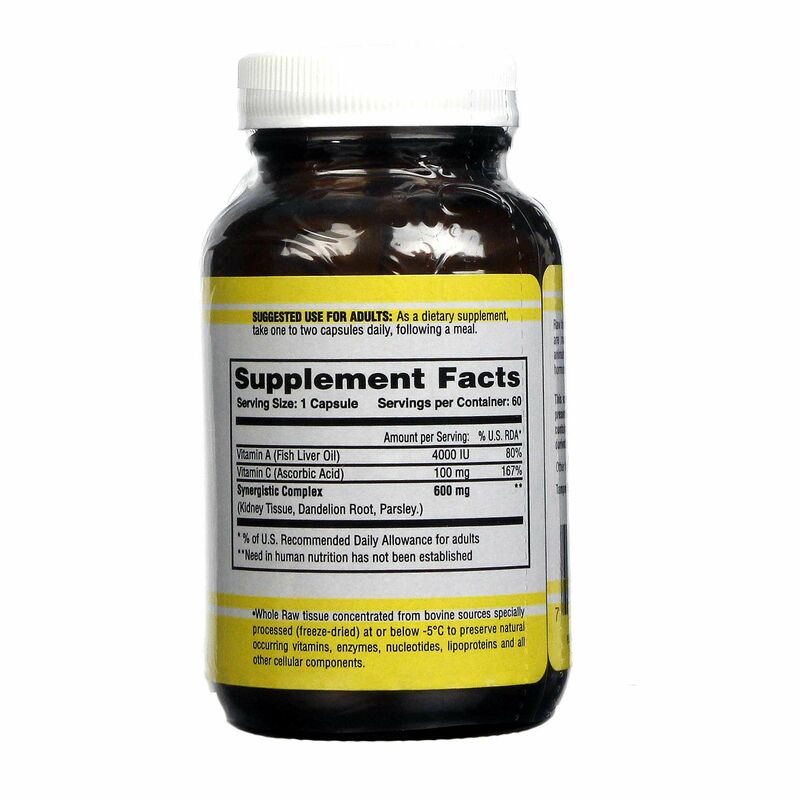 Natural Sources' Raw Kidney are daily dietary supplements that encourage healthy kidney function with a synergistic and potent formula in an easy-to-digest capsule. 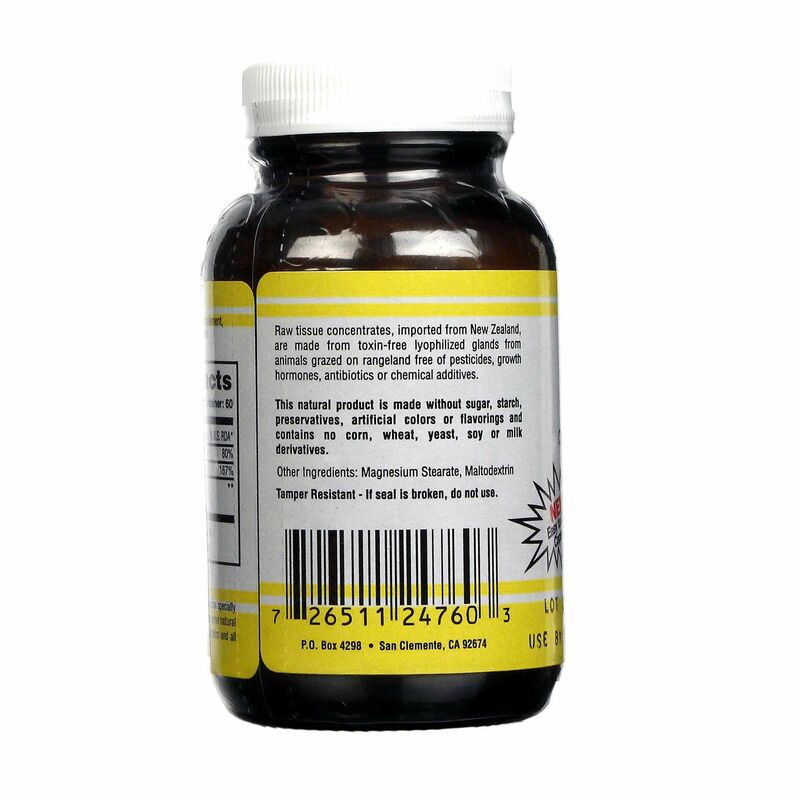 Each dose is formulated with raw, animal-sourced kidney tissue and a blend of vitamins and herbs to keep your kidneys properly nourished and working at optimal levels. 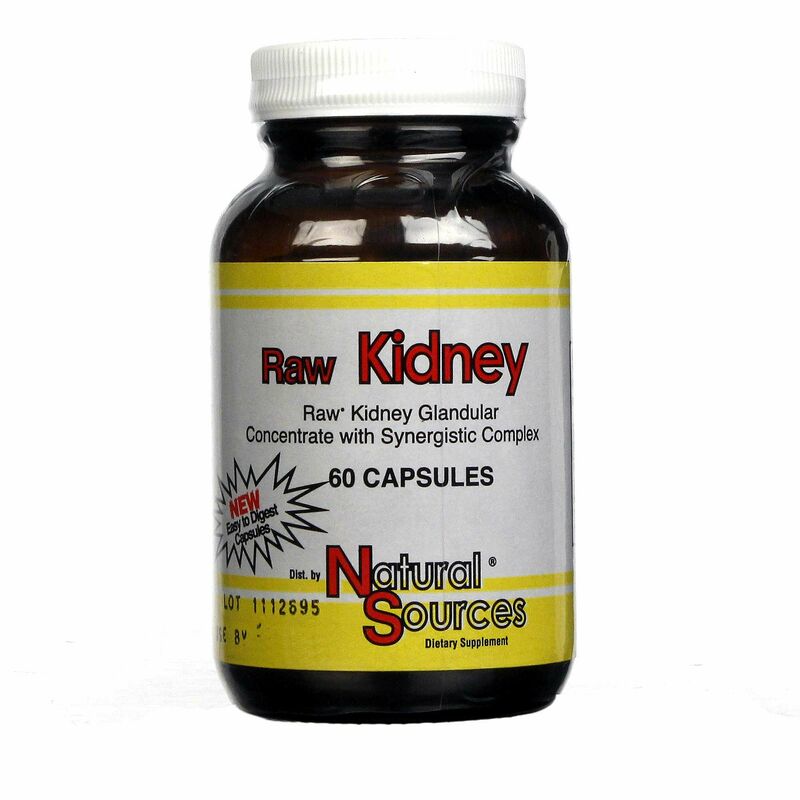 For improved renal function and glandular support, try Raw Kidney from Natural Sources. Order yours today at eVitamins! Notas: This natural product is made without sugar, starch, preservatives, artificial colors or flavorings and contains no corn, wheat, yeast, soy, or milk derivatives. 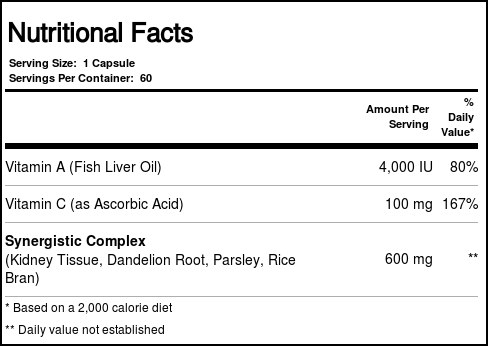 Recomendações de uso: As a dietary supplement, take one to two capsules daily, following a meal. Natural Sources Avaliações de Clientes.